Sydney has regained the NSW Interbranch Title ending the two-year stranglehold of fierce rivals Sydney Northern Beaches in the process finishing with just a 16 point buffer at The Lakes SLSC on the Central Coast last weekend. The new Champions secured top spot for the first time since 2013 and continued the extremely hard fought battle for first and second position that the two powerhouse branches have engaged in over the years. Rounding out the top three were hosts Central Coast, while Hunter ran very close fourth. The Far North Coast defended their top Country Branch title finishing in fifth place in the overall standings. Sydney Branch Team Manager, John de Cean is thrilled to have the Interbranch trophy back in their procession after the frustration of just missing out over the last two years. “The team was psyched on Sunday to get the win and despite a hiccup with a disqualification, the athletes showed their strength to hold the lead and they did an outstanding job bringing the title back to Sydney,” John de Cean said. A Sydney win was far from secured with a 31 point gap all that separated the two branches heading into the final day of team events. Ultimately the Sydney which was made up of mostly Bate Bay athletes held their nerve to seal the victory. Cronulla’s Isabellah Walker and Ngaire Hadfield were outstanding on the beach winning the U15 and Open Beach Flags respectively. Walker continued her form to also take out the U15 Beach Sprint while Hadfield finished second in the Open Beach Sprint. Also on the beach track, Max Geronimo (Elouera) took out the U13 Beach Sprint and in the U14’s Olivia Alvarez (North Bondi) claimed the double winning U14 Beach Sprint and Flag events. Elouera athletes dominated in the water with Youth athletes Jake Evans and Chris King winning the Surf & Board Race and Ironman respectively. Under 14 competitor Riley Dixon (Wanda) cruised to victory in the Board Race and placed second in the Ironman. Manly and Newport competitors were the standout performers for Sydney Northern Beaches, lead by the Morris brothers. Mitchell took out the U12 Surf and Ironman while Jake was too good in the Board Race. Meanwhile, their older brother Zach kept it in the family as he dominated the field in the U15 Board. 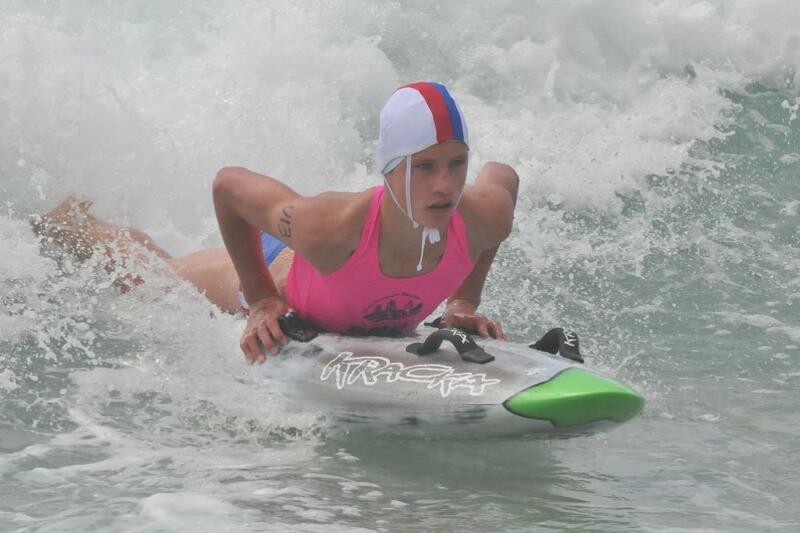 Joel Piper (Newport) was on fire in the U13’s resulting in top of the podium finishes in the Ironman and Surf Race. Fellow Newport youngster, Olivia Heaton pushed ahead in the Youth Ski and Board. On the sand, former Illawarra sprinters Blake Drysdale and Laura Shorter who now both compete for Newport were outstanding in the Open events. Drysdale cleaned up in the Flags and was a close second behind former Sydney Northern Beaches Captain, Michael Kember who was drafted to Lower North Coast this season in the sprint. Shorter was ecstatic with a gold in the Sprint and third in the Flags as she believes there is a lot of very good young sprinters coming through. “I think the youngsters are teaching me more than I’m teaching them. There’s so much talent coming through and it’s getting tougher each year,” the Sydney Northern Beaches Co-captain said. The 2017 NSW Interbranch Championships will be held at Stockton SLSC on 9 and 10 December which was announced at the presentation ceremony on Sunday afternoon. The 2017 NSW Surf Interstate Team which will be led by Captain Hannah Minogue (Newport SLSC) boasts a strong combination of youth and experience with many of the competitors having enjoyed success the very highest level of surf sport. The 24 selected elite athletes will compete for NSW at the 2017 Interstate Championships at Alexandra Headland SLSC on Friday 20 January. Five members of the squad competed for Australia in The Netherlands at the 2016 World Life Saving Championships, while Riley Fitzsimmons made his Olympic debut at the Rio Olympics in August. There is a fresh face too in the coaching department with Jim Walker making his State debut after he was selected to replace long-serving head coach Jeff Mowbray who retired after last year’s Interstate Titles at Torquay. The one goal that is on everyone’s minds is to regain the Interstate Trophy they lost narrowly to Queensland in January, and doing it in their rival’s backyard would make it that much sweeter. New South Wales and Queensland enjoy a healthy rivalry and while the battle in the surf is always fierce there is much mutual respect between the competitors. Outstanding performances at the Summer of Surf Series and last weekend’s Interbranch Championships have given the athletes a boost in confidence and they enter the final weeks of training knowing that they are in good condition. The strong results achieved by members of this team have not been lost on selectors either with NSW Sports Development Officer Tim Piper hailing the team as one of the strongest squads assembled in recent memory. “We have seen a number of strong results for NSW athletes already this and are confident that they will only improve as they ramp up their training ahead of what we expect will be a fiercely contested Championships,” said Tim Piper. The Interstate Championships are a highlight of the surf sport representative season with state pride going on the line. Each state is allowed to field a maximum of 12 competitors (6 male, 6 female) in the Open and Youth category with four U17 athletes to be part of the Youth squad. The NSW team will fly to Maroochydore on Wednesday 18 January where they will fine-tune their preparations, and participate in team building exercises ahead of the competition proper on Friday 20 January.